Mrs Roops's Content - Cunts Corner - Name the Cunts of the world!!! @King Billy, please avoid phrases like "I've heard" or "someone told me". Even better, avoid libellous comments. Eh? This yet another scare story about t'interent control by the state. In fact this item, which was hardly "smoke screened" in, is about the EU Copyright Directive which is all about protecting content creators having their work replicated for free. The directive was pushed by the printed press who having paid journalists to source and report news, found their copy was being replicated by news aggregators for free. Local news titles were especially hit and many local newspapers closed as a result. Most of us understand the need to copywrite material yet people seem to think they are entitled to read news content for free on the www. There was controversy surrounding articles 11 & 13 of the directive as doomsayers were saying this would signal the end of internet memes, however the directive allows for this. Winter is here...well on Monday, anyway. I like GoT as well - its a ripping good yarn. Marvellous, I like Star Wars, me, though I can live without the add-on films which cash in on the main franchise. PR and ad execs are obsessed with target audiences and specific narratives and sometimes lose sight of the bigger picture. Quit blubbing. When you're not flouncing, you're otherwise bawling your head off. You're sailing close to the wind, so be warned. TBH, I hoped that removing all your likes would induce a toxic shock thereby reducing your life expectancy by 98% but I forgot that your such a disgusting old scrote that even your diseases have diseases which is why your illness wasn't as potent as it should have been in hastening your demise. Personally, I'm not too concerned about the ironmongery as its use does not affect the leadboard. I will say those who collude to flood individuals are simply debasing the value of the "iron" and confirms a previous assertion of mine that they do not know when to stop. That said, if the flooding continues then we'll will simply start removing punters' ability to receive "likes". About what precisely? Your EU analysis is 45% misinformation, 45% Panzerbollox and 10% luck. I think I'll go down the Scottish legal route and say this is a case of "not proven". For one thing I could read the posts in the time given that they were on the same nom and page. That said, I expect that in future, @The Guard to be more circumspect on how he conducts himself, in any case by reversing the questioned "likes" does not alter the leaderboard position. I'm confused, I presume you're referring to the Smart Roadster which ceased production on account of its unacceptably high warranty claims. It also attracts a £125 VED across the range. I've done that and you weren't happy with what I thought either. You always did get tetchy when I called out the panzerbollox for the pile of pony it really is. The truth is panzy, I know what I'm talking about with or without Google. Yes, Leo has belatedly realised what side his country's bread is buttered, judging by the way he's bending over backwards. What next? Ditch the Euro and return to the Irish pound parity with Sterling? I'll look at this later. I don't think you understand how this works Panzy... What JRM's firm has done is create a collected asset vehicle which, as the name suggests, collects assets and, as Somerset Capital Management says, will be transferred to a UK header fund which whilst still nominally Irish be invested into Europe which means said funds will still enjoy frictionless movement within the EU, even under the harshest hard Brexit terms. Before you choke on your Irish coffee, this is perfectly legal under the terms of the Collective Asset-management Vehicles Act 2015 which aside from exempting such funds to be incorporated under the Irish Companies Acts, it also specifically states that such funds are not subject to spreading or diversification requirements. The 2015 ICAV act is proving to be very popular for tax exempt investors in a master feeder structure. What I'm saying in case you haven't twigged is that Ireland has positioned itself as a money-mule and is desperate for the odd coin to fall its way in becoming the Cayman Islands/Belize of Europe. I think once you have given 10 likes within a 24 hour period then one has to wait until 24 hours has passed before allocating again. TBH I don't care enough to use the "Test" handle to find out. The 10 like limit is pretty well embedded in the system parameters and I'm not going to waste time and energy working a hack around it. 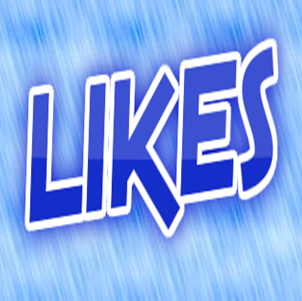 Some of you guys take the like system way too seriously in any case. Let me remind you... OTOH, if you think its right that a small band of Wallonian farmers should scupper the alleged benefits of CETA for the remaining 512 million European citizens then continue supporting democracy EU style... This also exposes a fundamental flaw with EU trade agreements which has to cater to the needs of 28 different states each with its own unique mix of industries and economies as it took nine years from instigation to ratification in completing the Canada-EU trade deal - far to long in todays rapid change in industry and technology. A fully independent UK would be able to complete trade deals in the fraction of the time and not only would Britain be more flexible it would also serve our precise needs and give us a competitive advantage.